Toradora! fans will be pleased to note that Wave will be releasing another Taiga figure later this year. I haven’t watched this series yet, but it’s near the top of my “planning to watch” list and I definitely want to get a Taiga figure at some point. This particular Taiga looks interesting, but it should be noted that it’s yet another JP mail order exclusive, so I’m not too eager to jump through those hoops for a figure I’m only on the fence about. On a side note, I believe this is the first time I’ve written about a figure from Wave. They seem to do mostly 1/10 scale stuff, which is smaller than what I typically go for. I’m curious as to what level of quality they typically deliver. I usually use “1/10 scale or smaller” as grounds for instantly disqualifying a figure from further consideration, but I felt like this rather unique Lum figure was at least worth a mention. One can only guess that the marketing department over at Kotobukiya made a thematic connection between Lum’s trademark tiger-striped bikini and the popular Japanese baseball team the Hanshin Tigers and this is the result. 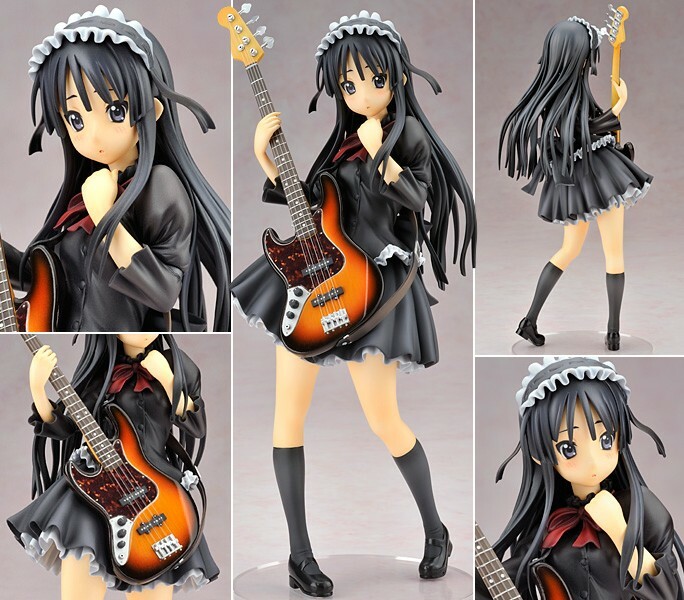 Alter’s “Festival Version” Mio is now available for preorder. I previously covered this figure as part of my Winter Wonder Festival write-up. My feelings about this figure haven’t changed drastically since seeing the coverage of said event. 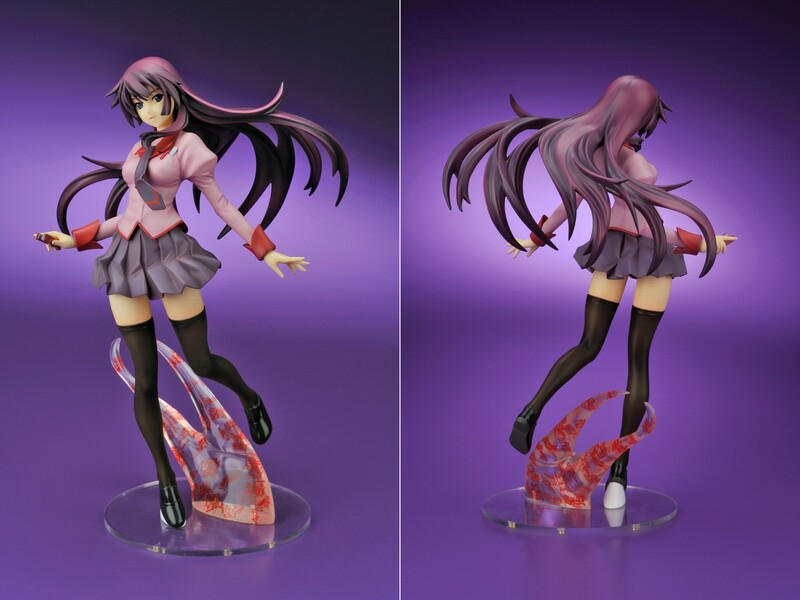 I certainly like this Mio better than Alter’s previous attempt, but we’ve already seen hints of a very similar, but better (IMO) Mio from Max Factory. Here’s another figure I previously covered as part of my Winter Wonder Festival write-up. As with Mio, my impressions of Ms. Koromo really haven’t changed since the show. 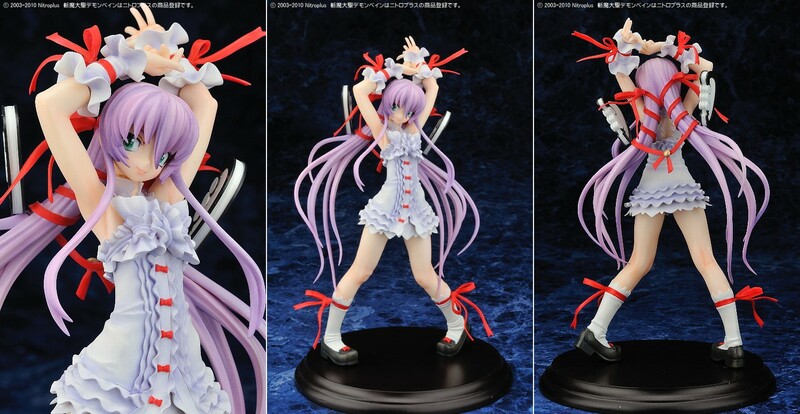 I really dig the Alice and Wonderland attire, which is the main selling point of the figure for me. There’s also the loli aspect, which could be a negative for some. This is a pretty tasteful figure though, so I’m not particularly bothered. Unfortunately, there’s a good chance that this figure will be one of the first victims of this year’s budget. At this point, I think I have enough funds for about two more figures and I already have those funds earmarked for GSC’s Tohsaka Rin and either Max Factory’s Mio or Append Miku. I’m toying with the idea of selling one or two figures out of my collection this year, which could free up funds for Koromo. We’ll see. Link 1 (Heavy Ver. ): Resinya! Link 1 (Normal Ver. ): Resinya! 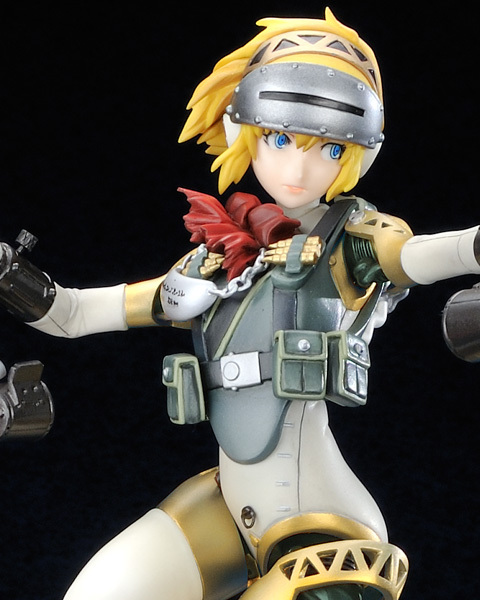 Resinya’s Aegis from the the Persona 3 series is now available for reservation. I previously wrote about this figure for both the Wonder Festival and Miyazawa Model Exhibition events earlier this year. One unexpected change you’ll notice about this figure versus what was shown at the tradeshows is that Aegis will come in two versions that are basically identical except for the fact that she’s wearing a vest and helmet in one version (i.e., “Heavy Armor Version”) and nothing extra in the other (i.e., “Normal Armor Version”). AmiAmi lists the armored Aegis as the regular edition and the other version as a limited edition. My thoughts on Resinya’s Aegis are still very much mixed. 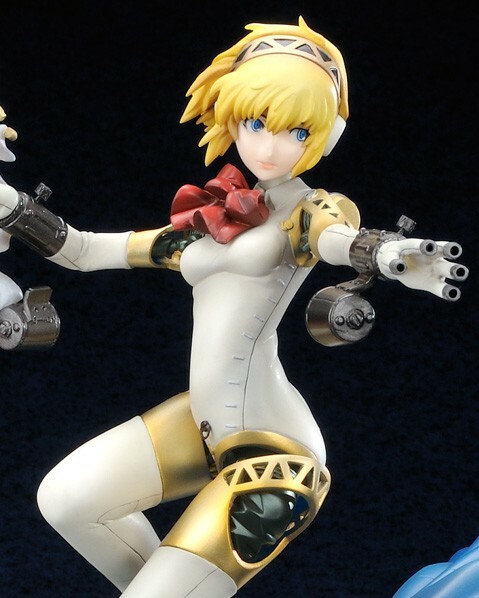 On the one hand, this figure is a deliciously detailed and large version of my favorite character design from the Persona video games. On the other, my last experience with Resinya was a bit of a letdown, so I’m reluctant to fork out big bucks for Aegis sight-unseen. Even if that wasn’t the case, the budget crunch I described above would still apply. 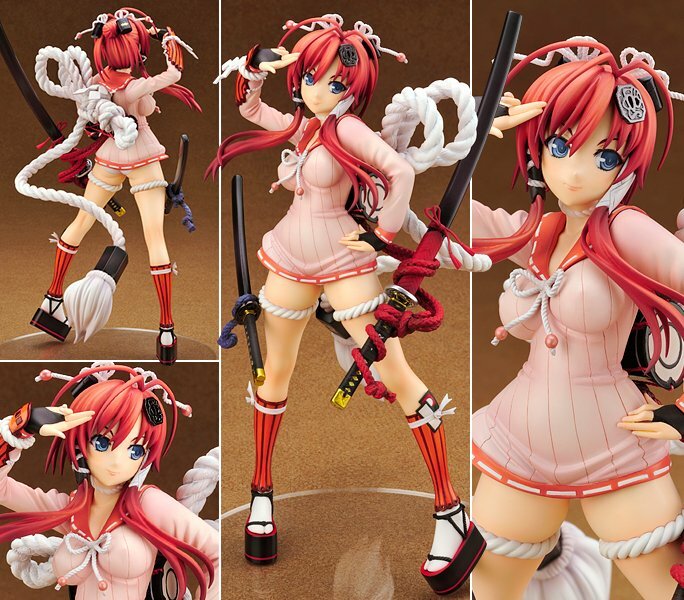 Finally, for those who missed her the first time around, Alter is re-releasing Jubei from Hyakka Ryoran. Other than a new release date of Aug. 2010, all the same details as before apply, so you can check my original preview and review posts. FWIW, I grabbed Jubei on the first go round and felt like she was one of my best purchases of the past year. Alter showed off their upcoming Clalaclan figure at WF2010W, but she really didn’t catch my eye for whatever reason until I saw these official release photos. Clalaclan definitely isn’t my favorite Shining Wind character–I’m embarrassed to admit that I actually thought her name was “Clanclan” previously–but Alter’s rendition is looking awesome in her full battle regalia. 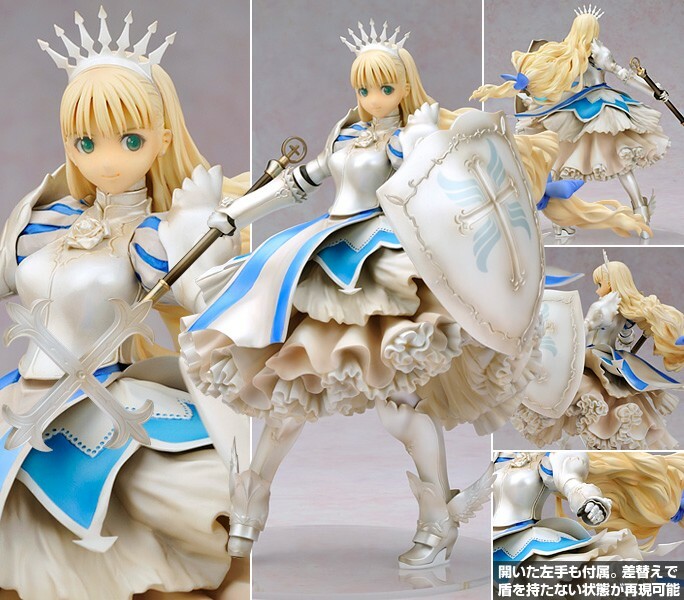 There are a lot of unique and interesting visual details to be had here, like the multi-layered skirt and diadem, but I particularly like the medieval shield, which is a relative rarity among anime figures. I’m a bit conflicted on this one. Feena is rather high on my list of characters for whom I want a nice figure and Koto’s Feena looks pretty good from what I can see here. That said, this is a terribly expensive figure for its size and my (limited) experience with Koto in the past has been decidedly average. 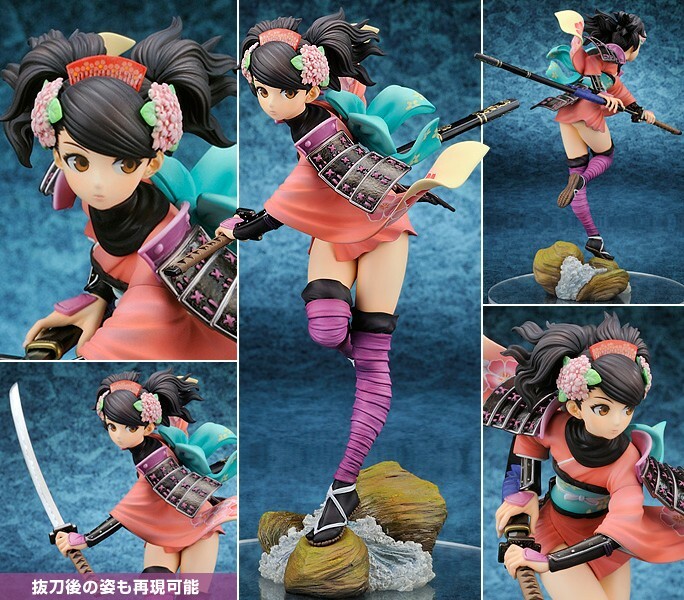 IMO, average doesn’t cut it from a 12,000 yen 1/8 scale mandatory-proxy-buy figure. So, do I give Koto the benefit of the doubt or hope for another Feena? Max Factory’s new Seena figure is–from what I’m reading–the first of four Shining Wind figures we should expect to see from MF this year. 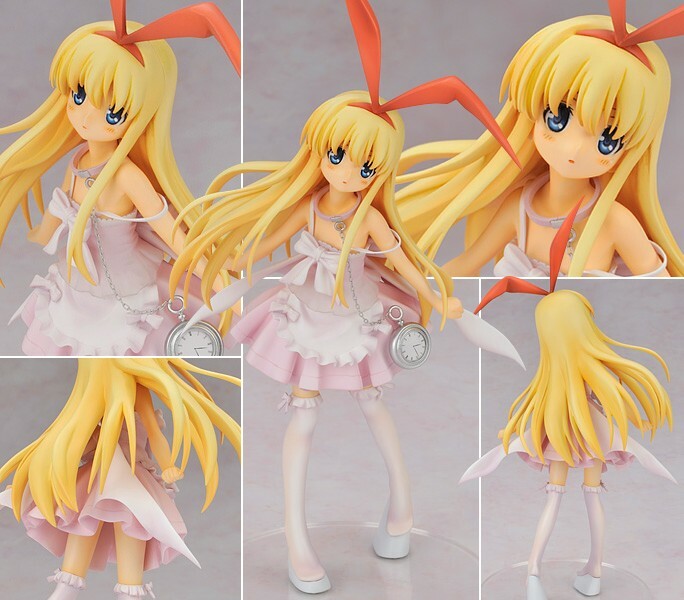 I’m not terribly exited about this particular figure–I think the outfit and pose are rather plain–but I am optimistic about the prospect of more Shining Wind figures from a top manufacturer like Max Factory in the near future. Personally, I’m hoping to see Xecty in her normal outfit. Black Lagoon initially flew under my radar, but it proved to be a great series once I got around to checking it out. Revy totally makes the series work and she’s a great character that deserves some great figure treatment. Unfortunately, I have yet to see a Revy figure I really like and I think New Line missed the memo on this one. The bikini feels terribly out of character for Revy and smacks of blatant fan-service on New Line’s part, which is really too bad considering that their other Revy might well be the best one to date.